About 100 hospital workers in Windsor joined thousands of other health care employees in a province-wide rally to back contract demands. It’s part of a �Together for Respect� campaign by their unions � SEIU, Unifor and CUPE — to demand better working conditions and compensation with the Ontario Hospital Association. The local rally was held outside Windsor Regional Hospital’s Ouellette campus on Wednesday afternoon. Nurses, personal support workers, administrative staff, as well as custodial employees are part of 75,000 workers at 160 public hospitals across Ontario who want a new contract. 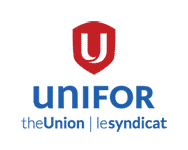 The Ontario Liberal’s last budget before the�June 2018�provincial election must address inequality and the crisis in care, says Unifor. Three of Canada’s largest unions today announced an alliance that kicks off an escalating campaign of membership mobilization to push Ontario hospitals to return to bargaining and treat their staff with respect. This is the first time the Ontario Council of Hospital Unions of the Canadian Union of Public Employees (OCHU/CUPE), SEIU Healthcare and Unifor have come together to seek a negotiated agreement on behalf of 75,000 nurses, personal support workers, porters, administrative staff and dietary, cleaning and trades staff at 160 public hospitals in Ontario. A bargaining alliance is rare for the unions, which normally negotiate independently with the Ontario Hospital Association (OHA) � the hospital employers’ umbrella group. “By coming together, we are making history to demand that our members get the respect they deserve. The OHA has been unwilling to negotiate fairly, but I truly believe we are stronger together and I’m hopeful that our alliance will lead to us achieving positive outcomes for the 75,000 hospital staff we collectively represent,” said SEIU Healthcare president Sharleen Stewart. Let�s talk mental health: How can we support one another? Whether you�re looking to be more directly involved in the Employee and Family Assistance Program (EFAP) or be a change-maker on your workplace health and safety committee, Unifor has tools to help all members promote good mental health practices. The�Worker Referral Assistance Program,�is the first step in order to become a referral agent in your workplace or local. In this role, members can act as liaisons to community resources that can help members access the services they need while protecting their confidentiality. The Level One program will be offered through the PEL program at the Unifor Family Education Centre in Port Elgin.� This course is open to participants from all Unifor Local Unions. As contained in a brief provided by the Unifor Legal Department, please see the following summary of changes to the Ontario Employment Standards Act with the recent passing of Bill 148. Please contact the Local Union office should you have any questions, comments or concerns. Congratulations to our members at Fairfield Park Nursing Home in Wallaceburg for reaching a tentative agreement on Wednesday, January 10, 2018. The ratification votes will take place on Thursday, January 18, 2018, at 12:30 p.m., 2:30 p.m., and 4:30 p.m. at the Rotary Club located at 507 Elizabeth Street in Wallaceburg.�Details on the tentative agreement will be released only at those times. All Fairfield Park members are encouraged to attend one of these important meetings. The Ontario government is moving forward with legislation that�lifts the ban on private hospitals, rolls private hospitals in with private clinics and renames them, offensively, Community Health Facilities, and�makes it easier for private hospitals and clinics to expand and more difficult for the Minister to stop them. This legislation was brought in with�no prior public consultation. It is a massive omnibus bill that repeals or enacts 7 entire Acts, and amends more than 30 Acts. We were given 5 minutes to present to the Standing Committee on this massive piece of legislation. Now we have only four days to try to get the worst part of it withdrawn.�Without due consideration of the consequences, the government is making a grave mistake that could easily usher in very significant new privatization and threats to our local public hospitals. Please email or call your MPP and ask them to help withdraw Schedule 9 of Bill 160. They need to act before the end of November 2017. A provincial plan for seniors and long-term care is being heralded by Kitchener Centre Liberal MPP Daiene Vernile as the �best road map� for supporting seniors at all stages of their lives. Vernile was at the Village of Winston Park, a Schlegel Villages facility last Friday (Nov. 17) to discuss Aging with Confidence: Ontario�s Action Plan for Seniors. The $155-million plan will aid in the creation of 5,000 new long-term care (LTC) beds over the next four years and calls for the creation of 30,000 during the next decade. It promises to provide 15 million more hours of nursing, personal support and therapeutic care annually for residents in LTC homes. There�s also support for �naturally occurring� retirement communities by investing more than $15 million over two years. �This investment will allow more Ontario seniors to take control of their health care decisions, live within a vibrant, caring community, connect with other age groups and ultimately enjoy a high quality of life,” said James Schlegel, Schlegel Villages president and CEO. What it means for Waterloo Region exactly has yet to be determined, according to Connie MacDonald, director of communications and community engagement with the Waterloo Wellington Local Health Integration Network (LHIN). On talk shows, in news headlines, and in speaking with seniors, nurses hear the same stories: seniors who need care don’t know where to turn. Most seniors want to “age in place,” maintaining their independence for as long as possible. Home care is in short supply, and there are long wait times for long-term care. Access, expense, and safety are significant concerns for seniors seeking care. As the number of seniors in the Canadian population continues to grow, the crisis of care is set to worsen. Data from�Statistics Canada�and the�Canadian Institute for Health Information�confirm that seniors are living longer than ever, with increasingly complex conditions. And yet, Canada’s spending on long-term care as a percentage of GDP remains stagnant, lagging behind the�OECD average. Medical Laboratory Assistants and Medical Laboratory Technicians, represented by Unifor Local 2458, have ratified a tentative agreement with Medical Laboratories of Windsor, bringing a three week strike to an end. The workers voted 81 per cent in favour of a new three year contract that includes wage increases, improved benefits, and increased vacation. Unifor is Canada’s largest union in the private sector, representing more than 315,000 workers in every major area of the economy. The union advocates for all working people and their rights, fights for equality and social justice in Canada and abroad, and strives to create progressive change for a better future.